When Trump wishes the Olympic team good luck, he’s tweeting from his iPhone. When he’s insulting a rival, he’s usually tweeting from an Android. Is this an artifact showing which tweets are Trump’s own and which are by some handler? 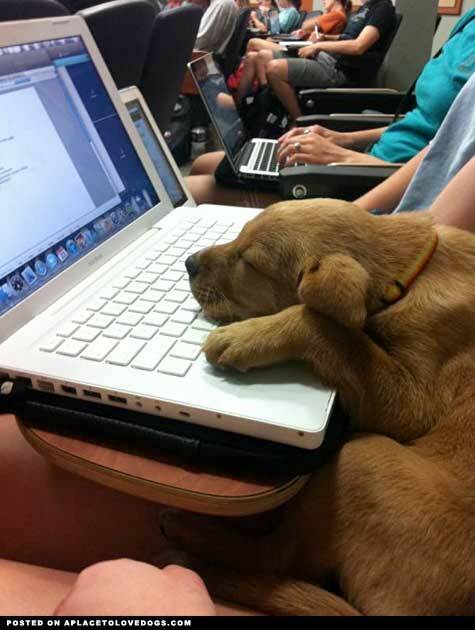 So he decided to test this hypothesis using text analysis. He does this with a few R packages, including twitteR and tidytext (which he created with Julia Silge - it can assign words to 10 sentiments: positive, negative, anger, anticipation, disgust, fear, joy, sadness, surprise, and trust). And by the way, he gives you all the code he used and shows you step by step how he did everything. I kind of love this guy. 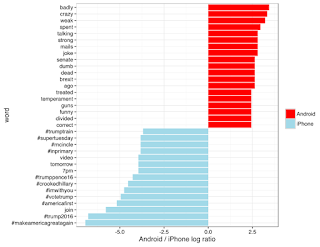 Thus, Trump’s Android account uses about 40-80% more words related to disgust, sadness, fear, anger, and other “negative” sentiments than the iPhone account does. (The positive emotions weren’t different to a statistically significant extent). So now you know who's doing the talking in Trump's tweets.